If you can’t say it loud, print it proud! 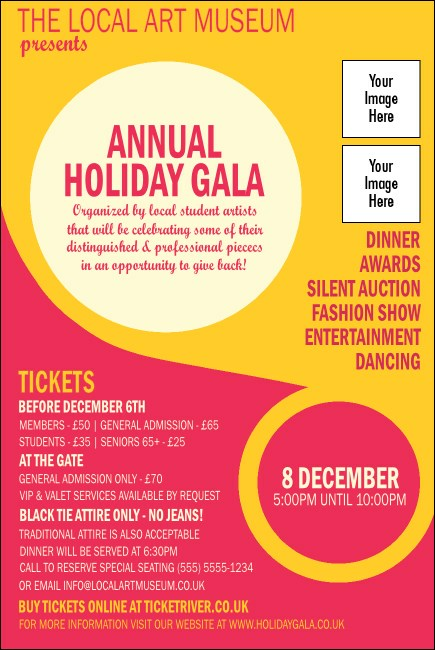 Surround your upcoming event with the right kind of buzz when you advertise with Circle Gala Posters. These Posters are pretty in pink and peach with a unique circle design so you can advertise your event with colour, style and flair. Upload two of your own images for an artful customized look. Complete the cycle of great event promotions at UK Ticket Printing.